Mayor Eric Garcetti has announced (as politicians do) a grand plan. He wants 100,000 new homes (apartments, houses) built in Los Angeles by 2021. 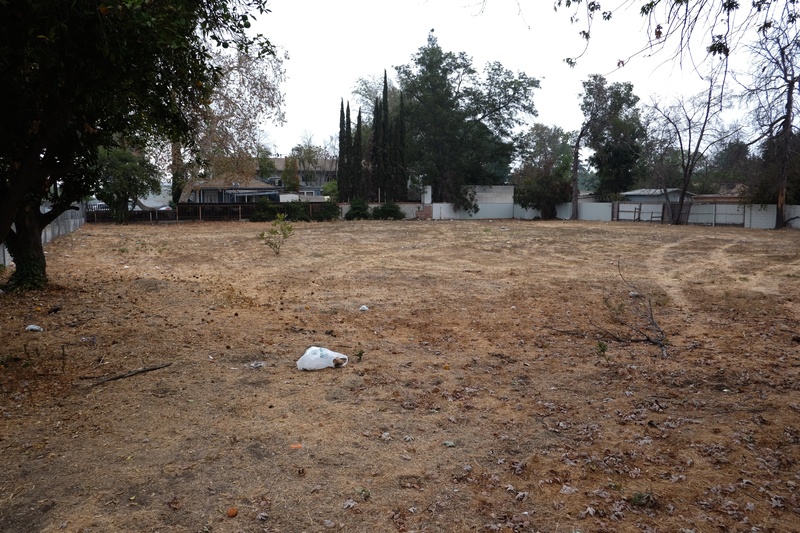 A few years back, Mayor Villaraigosa had a grand plan to plant one million trees in Los Angeles. Yet one still drives down many treeless streets in Los Angeles. Past 60 year old homes. Were one million trees planted? Or were they just promised? Political promises need concrete actions. Talk is not enough. 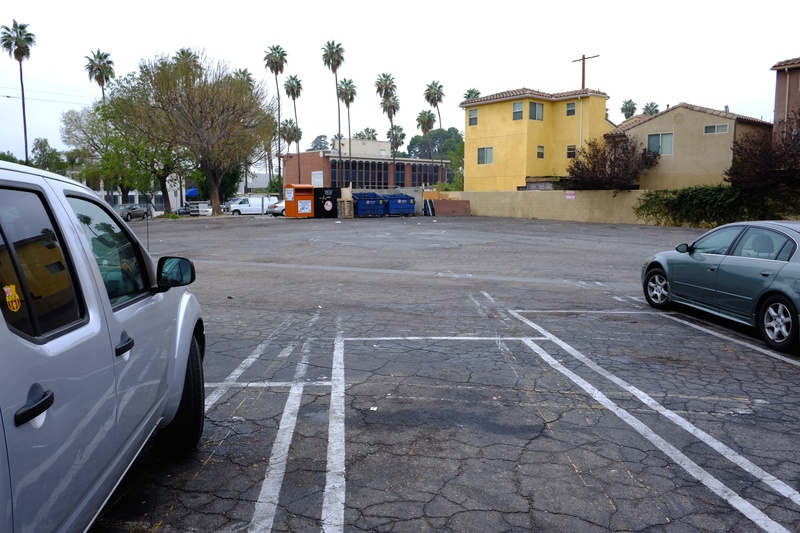 Van Nuys is sitting underutilized and degraded, dead center in the San Fernando Valley, with thousands of acres of asphalt parking lots set behind vacant shops and boarded-up slum buildings. 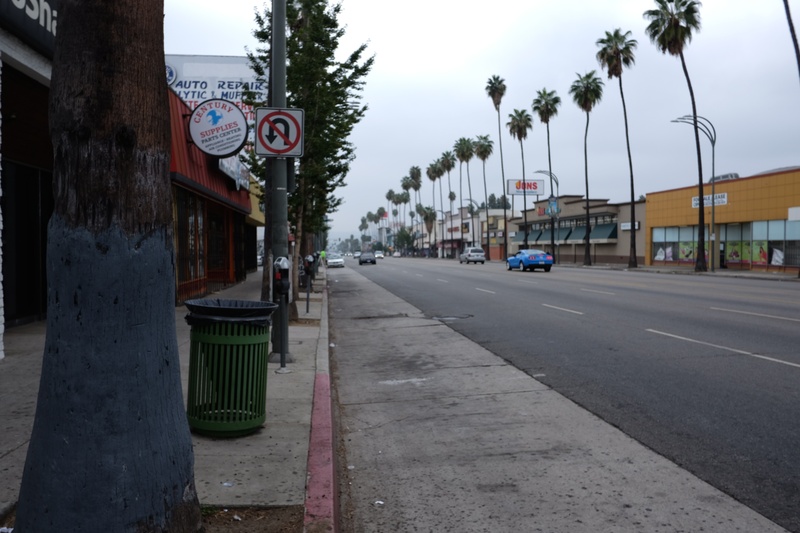 Van Nuys Boulevard is the heart of the slum, a depressing place without architectural vision or urban imagination. 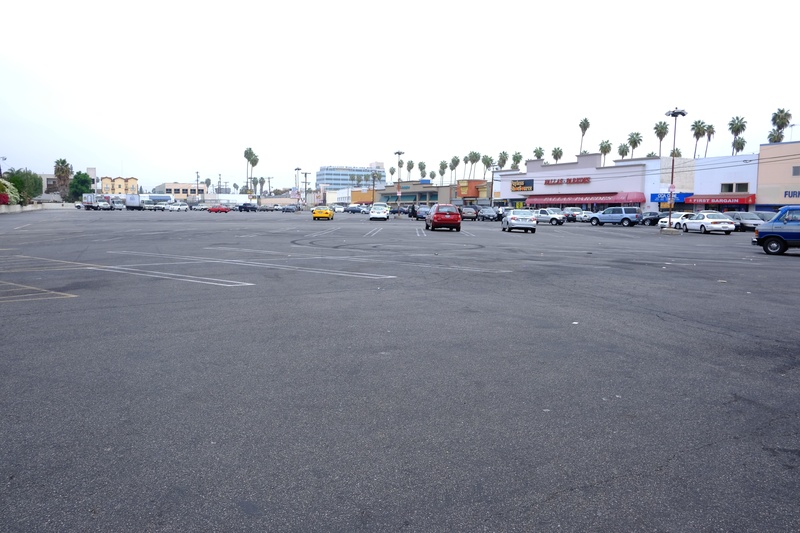 Why not, Mayor Garcetti, start building your walkable, bikeable, modern housing right here? The Busway is nearby. The infrastructure of public transport is here. All that is missing is a viable environment surrounding it. Mayor Garcetti, come visit Van Nuys. We are right near the intersection of today and tomorrow. My heart just sinks looking at these pictures. The best years of my life were spent cruising Van Nuys Blvd in that very area. It was always magical to me and loved to see the people walking and shopping along that strip. As for the 8 or 10 story blue structure in the first pic (The building across from Arby’s), that building has been vacant since the 94 quake I believe. I saw construction starting on that building in 2004 and then it mysteriously stopped. What a shame that area has become. Thanks for posting these, Andy. Also, I am very sorry for the loss of your mother and I pray for your peace and comfort in this trying time. Thank yiou for your comment Robert. As for my mother, I have written quite a few times that she died September 1st. I couldn’t agree with you more. I ride my bike a few times a week down the Orange Line Bikepath, and I have often thought the same thing. One of the most difficult beginning points in development is infrastructure, this already exists. What a bonus! A great example of an area that has done this successfully is Venice. At one time, you couldn’t walk down Rose Ave without fear, today it’s one of the most desirable areas in the city for the young professional.